Guernsey Police called off the search for Sala and pilot David Ibbotson on Thursday afternoon, prompting calls from across football for it to be resumed. Messi and Maradona both posted social media messages in support of the cause to find their fellow Argentinian, before Cardiff – who signed Sala in a £15million deal last Friday – urged the authorities to resume the search for the missing plane and its occupants. Argentina’s president Mauricio Macri has also told his foreign minister to issue formal requests to Britain and France for search efforts to be resumed, according to a statement from the premier’s office on Friday. “We still hope that the search mission can continue and we could locate Emiliano,” Choo told reporters outside the Cardiff City Stadium on Friday as he and other club staff laid flowers where tributes to Sala have been placed. Messi, writing on his Instagram story, said: “As long as there are still possibilities, a hint of hope, we ask you please continue to look for Emiliano. Manchester City forward Sergio Aguero,used the social media hashtag #NoDejenDeBuscar – “do not stop searching”. On Friday evening a GoFundMe page to raise funds for resumption of the search had passed £57,000, with the Manchester City’s Ilkay Gundogan amongst the donors. 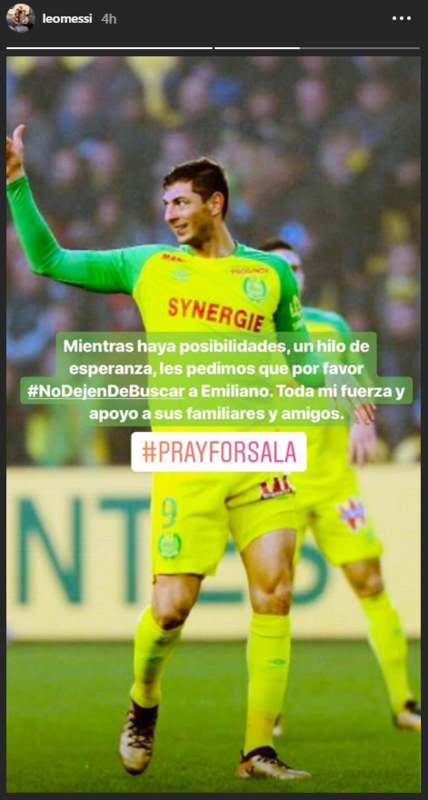 Nantes reacted with anger at the decision to formally call off the search for Sala’s missing plane as the striker’s sister begged rescue workers to keep looking for it. Ms Sala travelled to south Wales after a light aircraft carrying her brother and the pilot disappeared from radar on Monday night. Guernsey’s harbour master Captain David Barker earlier confirmed the “difficult” decision to end the search, saying the chances of survival were “extremely remote”. Cardiff signed 28-year-old Sala for a club-record fee to bolster their attack and he had been due to start training on Tuesday. The Premier League has said there will be a “moment of silent reflection” ahead of games next week. Cardiff’s players will wear yellow daffodils on their shirts at Arsenal on Tuesday in respect of Sala. “It’s a flower of Wales and it’s yellow (the colours of FC Nantes),” Choo said. “It has significance to Nantes and we feel for FC Nantes, the fans and players as well. Flowers and tributes are placed near a giant picture of Emiliano Sala outside the Nantes training ground (AP). Nantes coach Vahid Halilhodzic was visibly emotional as he paid tribute to Sala in an interview with reporters at the club’s training ground, describing him as a “real warrior”. 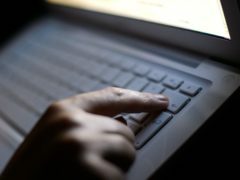 “We have to respect the decision of the family who, for the moment, have had no confirmation, so hope still exists,” he said. “We are still waiting for a surprise. I hope that arrives very soon. Captain Barker acknowledged Sala’s family were “not content” with the decision to stop actively searching, but said he was “absolutely confident” no more could have been done and that UK coastguard protocols were followed. He said he hoped the families of the missing pair found some comfort in the incident remaining open, despite searches ceasing. Mr Barker said the plane was last known to be near Hurd’s Deep, an underwater valley north-west of the Channel Islands, which could make recovery of a wreckage very difficult. Sala’s WhatsApp recordings sent from the aircraft may be used in investigation into the events and the weather may have played a role in the crash, Mr Barker added.